The surgical equipment industry manufactures tools used by surgeons for cutting, dissecting, grasping, holding, retracting and suturing. Surgical equipment includes graspers, clamps, retractors, distractors, mechanical clutters, and suction tips and tubes. The top companies covered are Johnson & Johnson (J&J), Stryker Corporation, Intuitive Surgical, B. Braun Melsungen AG and Getinge Group. The countries covered are USA, China, Germany, Brazil, Japan, UK, Spain, Russia, France, Australia, Italy, India and rest of the world. 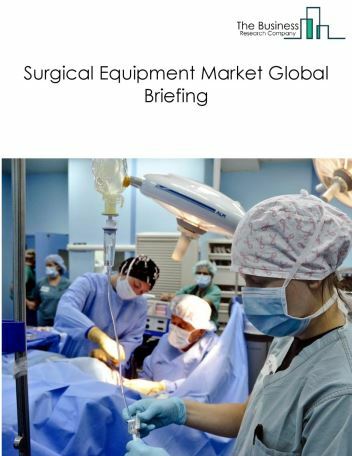 The global surgical equipment market was valued at around $10 billion in 2017. North America was the largest region in the surgical equipment market in 2017, accounting for around 33% market share. The USA was the largest country in the surgical equipment market in 2017, accounting for around 23% market share. Electrosurgery is the application of high-frequency electric current on biological tissue with the goal of creating a thermal effect that is medically useful. Technological advances have led to the development of modern ESUs which are capable of continuously monitoring current and voltage, derive parameters such as power and tissue resistance, and analyze them. Surgical equipment industry is segmented into surgical sutures and staples, handheld surgical devices and electrosurgical devices. Surgical sutures and staples are medical devices used by surgeons to hold skin, internal organs, blood vessels or any other tissues together after they have been severed during surgery. Sutures and staples hold incised body parts together until they are completely healed. Handheld surgical devices include forceps, scalpels, retractors and scissors. Electrosurgical devices include surgical generators and electrosurgical instruments. Surgical generators include radiofrequency, ultrasonic, electrocautery, and argon plasma equipment. Electrosurgical instruments include monopolar, bipolar and ultrasonic instruments. 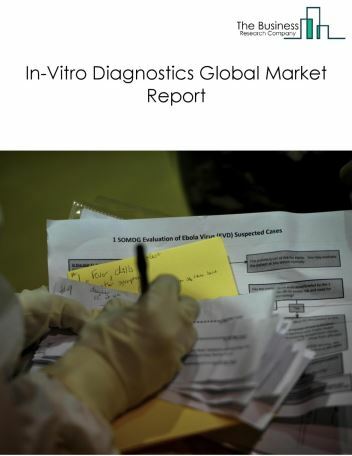 The in-vitro diagnostics devices (or) equipment manufacturing market consists of sales of in-vitro diagnostic equipment and related services by entities (organizations, sole traders and partnerships) that produce in-vitro diagnostics. This industry includes establishments that produce diagnostic devices used in microbiological diagnosis, hematological diagnosis, molecular diagnosis, point of care diagnosis and others. 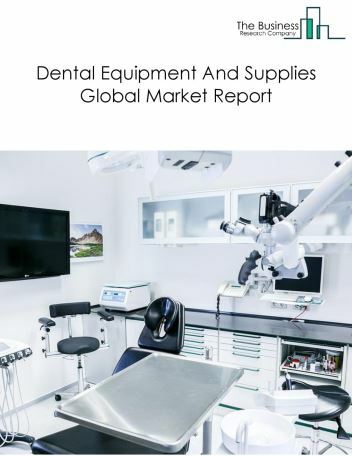 The Dental Equipment And Supplies market consist of sales of Dental Equipment And Supplies and related services by entities (organizations, sole traders and partnerships) that produce Dental Equipment And Supplies and supplies. This industry includes establishments that produce devices such as therapeutic dental equipment, general dental equipment, dental diagnostic imaging equipment and dental surgical equipment. 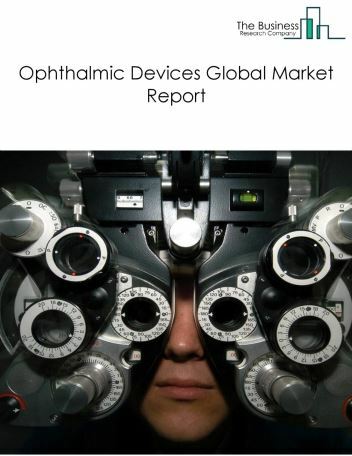 The ophthalmic devices (or) equipment supplies market consists of sales of ophthalmic devices and related services by entities (organizations, sole traders and partnerships) that produce ophthalmic devices used in the diagnosis and treatment of eye related diseases. This industry includes establishments that produce vision care devices, cataract surgery devices, refractive surgery devices, diagnostic and monitoring ophthalmic devices used in conditions such as eye infections, cataract, glaucoma, retinal detachment and other medical conditions. 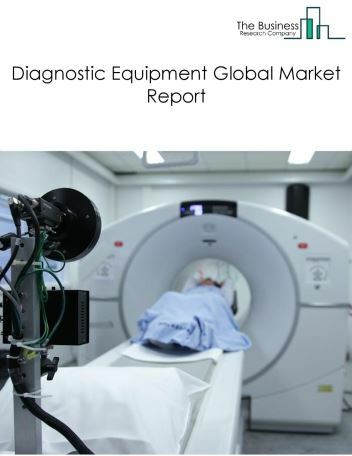 The diagnostic devices (or) equipment market consists of sales of diagnostic equipment and related services by entities (organizations, sole traders and partnerships) that produce diagnostic equipment used in diagnosis of various diseases. This industry includes establishments that produce diagnosis equipment such as X-ray systems, ultrasound systems, computed tomography (CT) scanners, magnetic resonance imaging systems and other diagnostics equipment. 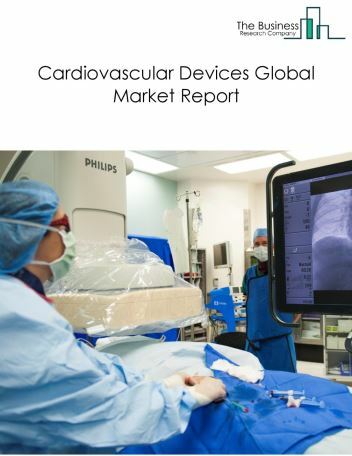 The cardiovascular devices (or) equipment market consists of sales of cardiovascular devices and related services by entities (organizations, sole traders and partnerships) that produce cardiovascular devices used in diagnosing and treating cardiovascular diseases. This industry includes establishments that produce devices such as cardiovascular surgery devices, cardiac rhythm management (CRM) devices, interventional cardiology devices, peripheral vascular devices, electrophysiology devices and other devices used in cardiovascular surgeries, treating arrhythmia and other cardiovascular diseases. 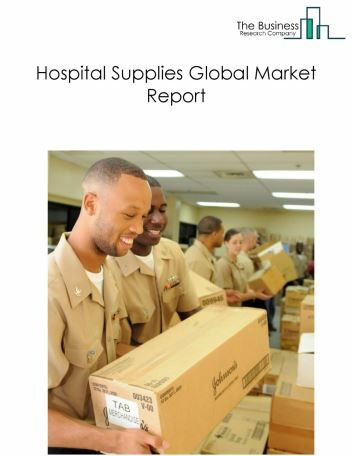 The hospital supplies market consists of sales of hospital supplies and related services by entities (organizations, sole traders and partnerships) that produce hospital supplies. This industry includes establishments that produce disposable consumables such as glucose test strips, conventional syringes and others. It also includes establishments manufacturing sterilization equipment and disinfectants used in operation theatres during surgeries and mobility equipment such as wheelchairs, walkers and others to transport patients from one place to another. 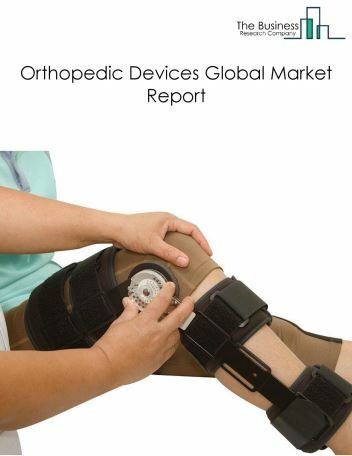 The orthopedic devices (or) equipment market consists of sales of orthopedic devices and related services by entities (organizations, sole traders and partnerships) that produce orthopedic devices used in treating bone abnormalities. This industry includes establishments that produce devices used in joint reconstruction, spinal surgeries, Craniomaxillofacial surgeries and orthobiologics implants. It also includes establishments manufacturing orthopedic accessories to fix or remove implants from the body and artificial devices to replace missing body part from the body under orthopedic prosthetics. 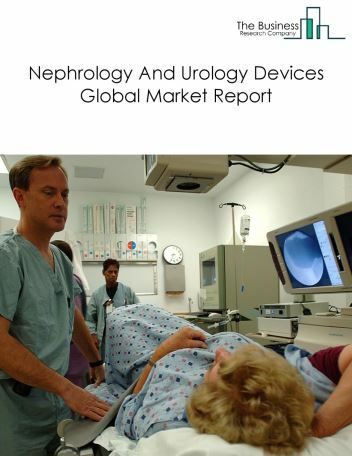 The nephrology and urology devices (or) equipment market consists of sales of nephrology and urology devices and related services by entities (organizations, sole traders and partnerships) that produce nephrology and urology devices used in diagnosis and treatment of kidney and genitourinary diseases. This industry includes establishments that produce dialysis devices used during kidney failures and kidney dysfunctioning, urinary stone treatment devices used in treating kidney stones, urinary incontinence & pelvic organ prolapse devices, endoscopy devices and other devices.